Bedwetting refers to urination that occurs while someone is sleeping in bed. Wetting the bed can be embarrassing for kids, but it's actually very common. Bedwetting is not limited to the night alone (nocturnal enuresis), it also occurs during the day (diurnal enuresis) when your child takes a short nap. Although most children eventually outgrow this phase, here are some steps you can take to help your child keep dry in bed. Avoid Guilt as getting angry with your little one and punishing him for wetting the bed will only add pressure to stay dry and will make the problem worse. Don't resort to punishment. 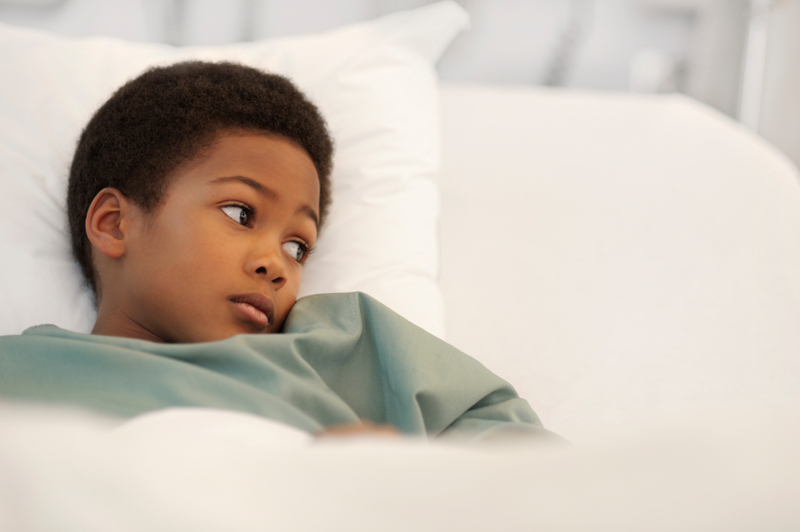 Tell your paediatrician about the bedwetting, so he or she can track your child's progress and offer suggestions for handling the situation. If your child is older than 5years, or if the bedwetting starts abruptly, discuss if there is a reason why it's occurring. The paediatrician may also prescribe medications with a thorough explanation of their pros and cons. Avoiding late meals and scheduling the drinking of water prevent the chances that your child will overdrink water and generally all fluids which make the bladder incontinent. You should however be cautious while doing this as you may make your child experience a thirst overload. Make sure your child goes to the bathroom before bedtime, but also try carrying him or her to the bathroom again right before you go to bed. When your child empties his or her bladder, there's less of a chance he or she will have to urinate during the night. You can also purchase a Moisture Alarm. A moisture alarm wakes your child the second he wets the bed. The interruption in sleep can condition the brain to control the bladder better and help prevent accidents. This method is about 75 percent effective and tends to work when children themselves are ready to be dry. You can also wake your little one up intermittently all through the night but this may deprive you of a good night sleep. So, the moisture alarm sure does well. Make sure that your child’s bed has a waterproof mattress cover or pad and pillowcases. Place clean cloths close to the bed for a quick change. If your child sleeps through the night in a wet bed, you might also want to ask him to help change the sheets in the morning as doing so can help him take responsibility for the bedwetting. Even if the child isn't wetting the bed on purpose, he's still aware of his accidents when he wakes up. Helping change the sheets can make him feel part of the solution rather than the problem. Parenting often times seems herculean a task and helping your child outgrow bedwetting is not less of a huge responsibility. We are almost certain that the above actions will help.